The Professional Masters in Computational Linguistics at the University of Washington ( University of Washington, Department of Linguistics, Box 354340, Seattle, Washington, 98195 Phone Number: 206-543-2046) is one of only a few around the world. In just 12 months of full-time study, students are prepared for a variety of positions including jobs as translational technology specialists and linguistic data specialists. The program also offers an optional internship providing students with the hands-on experience that employers value, as well as monthly guest lectures, which are excellent networking opportunities. Click here for more information. Are you an educator looking to travel abroad during the summer? Would you like to earn graduate school credit and professional development credit while seeing the world? GEEO is a 501c3 non-profit organization that has been created to help and encourage educators to travel abroad in order to bring their experiences back into the classroom and create a more outward-looking next generation of Americans. Looking for an immersion experience in a variety of languages for adults or youngsters? Check out Concordia Language Villages. Bennington College is accepting students into its Master of Arts in Teaching a Second Language program for K-12 French and Spanish teachers. A new session begins in July of each year. ACTFL and University of Maryland University College (UMUC) are excited to announce a new education alliance. ACTFL members will now have the opportunity to earn a specialized online graduate certificate in Instructional Technology Integration that is designed for individuals teaching languages on the K–12 level. ACTFL members who wish to enroll in the certificate courses must apply for admission to UMUC and are eligible for a waiver of the application fee. For members who are not Maryland residents, UMUC will also offer a 25% tuition discount on out-of-state rates. If you are not an ACTFL member, but wish to join to take advantage of this generous discount, please click here for more information on joining ACTFL. The Department of Modern Languages and Classics offers a Master of Arts in Teaching (M.A.T.) French, a Master of Arts in Teaching (M.A.T.) Spanish; a Master of Arts (M.A.) in French with optional concentrations in French Literature or North American French Studies. Individuals interested in applying should consult the graduate coordinator of the Department of Modern Languages and Classics for specific information on admission and graduation requirements. The M.A.T. in French (30 credits) and the M.A.T. in Spanish (30 credits) have been redesigned with the collaboration of the campuses of the University of Maine System and Colby, Bates, and Bowdoin Colleges specifically to meet the needs of Maine's schools. The programs offer full-time instruction during the academic year to meet the requirements of pre-service teachers and an intensive institute during the summer for in-service teachers. Candidates take seven to eight courses (21-24 credits) in language, literature, culture and linguistics in the target language, one course in language pedagogy (MLC 466/566) and one course on teaching the exceptional student in English (SED 402/500). 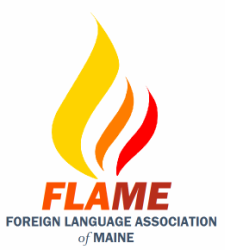 An oral exam and a professional teaching portfolio which illustrate the candidate's familiarity with Maine's teaching standards and his/her readiness to teach a second language in the K-12 classroom are the final requirements for both degrees. Interested in summer study in Spain? Check out the University of Barcelona. They offer students the opportunity to book Spanish language courses and accommodation at the University of Barcelona UAB in Spain. Click here for more information. Instituto Cervantes is a not-for-profit organization created by the Spanish government in 1991. Its mission is to promote the teaching of Spanish and to contribute to the advancement of the culture of the Spanish speaking countries. Organizing the DELE exams (Diploma in Spanish as a Foreign Language). Organizing training courses for teachers. Supporting Hispanists in their activities. Enocouraging cultural activities in collaboration with other organizations. Click here for more information.